Satellite AIS has created possibly the largest paradigm shift in the maritime world since the introduction of the steam engine and the screw propeller over 100 years ago. The first six satellites in ORBCOMM’s AIS-enabled constellation were launched for the US Coast Guard in 2008 for coastal and port visibility. Eight years and 18 satellites later, satellite AIS has become an ubiquitous tool for an ever-increasing array of maritime applications. 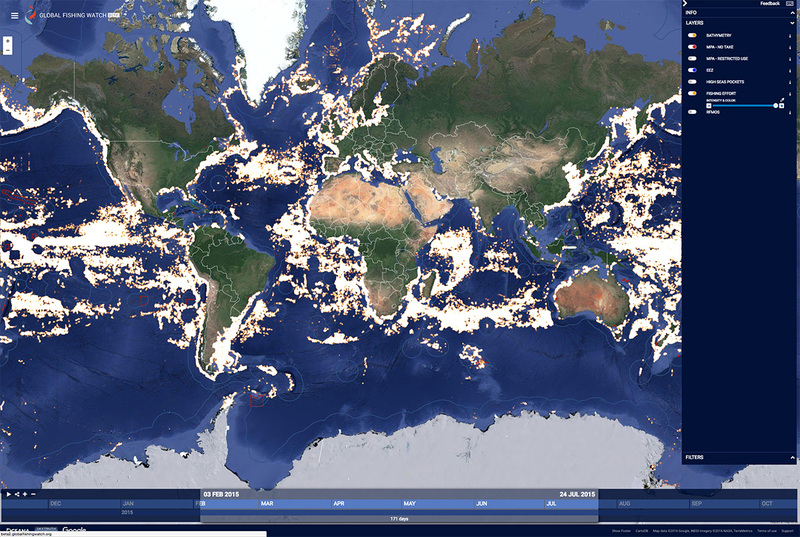 AIS is a primary tool for the protection of the maritime environment and its resources, especially fish and oil. It is also routinely paired with imaging space systems such as electro-optical satellites and, especially synthetic aperture radar satellites. With both of these imaging satellites there is a natural synergism as AIS enables the identification of many imaged ships. If they are not identifiable or attempt to hide their identity via spoofing, this can lead to further examination by other assets such as aircraft and military vessels. The tracking of all the world’s commodities location and their arrival at destination is more accurate than ever. This detailed information, derived from satellite AIS and broker records, has allowed commodities traders to be dramatically more accurate in predicting daily prices in many ports of the world. Early adopters of AIS-based analysis are reaping huge rewards. Satellite AIS is used to determine when hull and machinery maintenance needs to be scheduled for maximum return on investment, because it allows for very accurate record-keeping of hours of operation, loading/speed, type of marine environment, average speed (critical to hull maintenance) and more. Satellite AIS can help authorities detect and divert or intercept vessels bound for fishing areas restricted by national rights or environmentally sensitive areas with known biological issues such as disease. Using AIS data from ORBCOMM, Global Fishing Watch shows commercial fishing activity from Jan 2012 to three days prior to present time. Using synthetic aperture radar satellites to detect illegal bilge dumping in controlled waters is now much more effective because the exact identification of the offending vessel and its next port of call can often be determined via satellite AIS. When the offending vessel docks, the local authorities can demand to see both its bilges and its log. If the bilges are clean but there is no log entry as to when they were last cleaned, a citation can be issued. The Italian Navy reports this has caused a dramatic reduction in the illegal dumping of bilge waste in the Mediterranean. 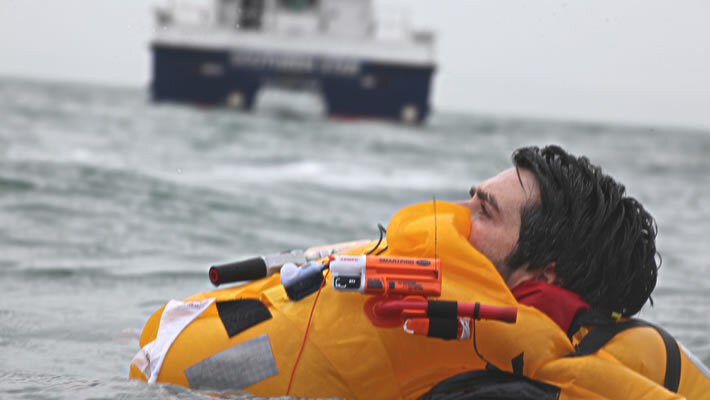 An AIS Man Overboard (MOB) device is designed to be carried by individual crewmembers and used in the event of a Man Overboard situation or other personal emergency. Source: McMurdo. Satellite AIS has also dramatically improved safety of life at sea by allowing for the location of all ships, thereby permitting the speedy reaction to maritime disasters, large and small. Indeed, AIS transmitters are now being installed on life jackets to assist in recovery of crew in the water. Satellite AIS allows for the closest vessels to a maritime problem to be identified and vectored to the site as needed. Satellite AIS is also a major tool in disaster recovery operations. In Haiti, satellite AIS was used to prioritize when the most needed supplies would arrive at damaged ports with very limited offload capabilities. It has been used in a similar fashion in many disasters since, including in several countries such as the Philippines, which has been hit several times recently with hurricanes, and in the Indian Ocean, Japan and Chile, where tsunamis have severally damages ports and seacoasts. Finally, satellite AIS is being used worldwide as a primary adjunct to maritime security operations by allowing for the study of normal “pattern of life” operations to determine when anomalous activity is happening. Thus, surveillance and intercept units can be dispatched with much improved chances of apprehending wrongdoers, be they smugglers, illegal fishers, or other. This saves wear and tear on equipment and personnel, as well as money by limiting operating time of scarce assets. It also raises crew morale because they know they have a better chance for a productive operation. While satellite AIS service continues to improve, the list of applications for it just keeps getting longer and longer. Now on contract to the US Department of Homeland Security Science & Technology (DHS S&T) as their subject matter expert (SME) for Maritime Domain Awareness and Commercial Earth Observation Space Systems, Guy is the former US Science & Technology Advisor for Maritime Domain Awareness (2003-2012) and creator of both space-based AIS & C-SIGMA, (Collaboration in Space for International Global Maritime Awareness). He also serves as the technical/academic advisor to the Multinational Maritime Security Center of Excellence. Guy has been involved in surveillance operations and systems in the Navy, Air Force, Coast Guard, industry, Johns Hopkins’ Applied Physics Lab (JHU/APL) as well as the Department of Homeland Security and its operational elements. 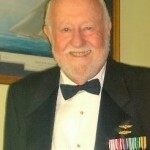 A retired naval officer, he served in hostile areas in 3 cruisers, 2 submarines and 6 reconnaissance aircraft, leading the introduction of both the Navy’s EP-3E & then the Air Force's RC-135W Rivet Joint III, the first 2 aircraft with mission-system computers, becoming the first person in history to be authorized to wear both Navy and Air Force wings at the same time. Also one of the first designated Navy Space Operations sub-specialists, he was the first person in the history of the Navy to be quadruple qualified. A civilian at JHU/APL for nine years, he was its liaison to the Naval War College 2000-2003, leading their effort directed by President Bush on 9/11 (literally) to create what became the National Strategy for Maritime Security and the creation of Maritime Domain Awareness within the US. A Distinguished Graduate of the NWC, he also earned a dual MBA/MS (high honors) in Management and Computer Information Systems from Bryant University. He studied Systems Engineering at JHU. He was awarded the Distinguished Career Service Award in 2012, and the US Geospacial Intelligence Foundation’s Individual Achievement Award in 2015.